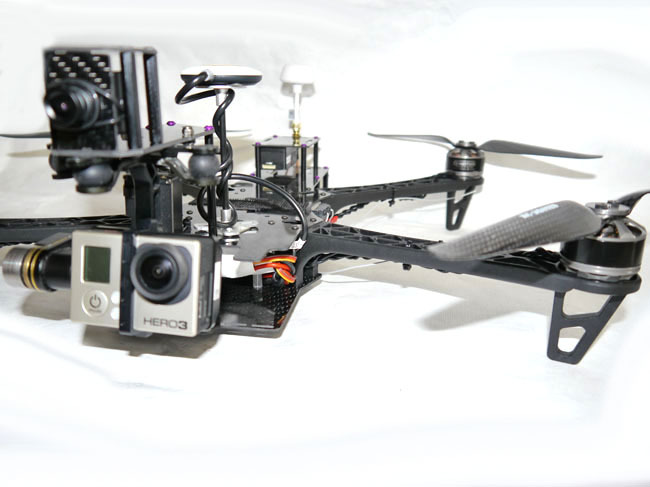 Below are some sample pics of how you can set this frame up and how it looks ready to fly! 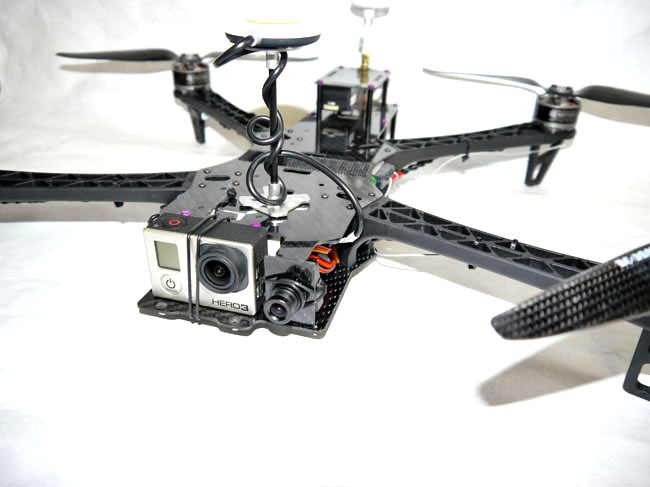 Phoenix Flight Gear has taken the FPV spyder frame one step further. 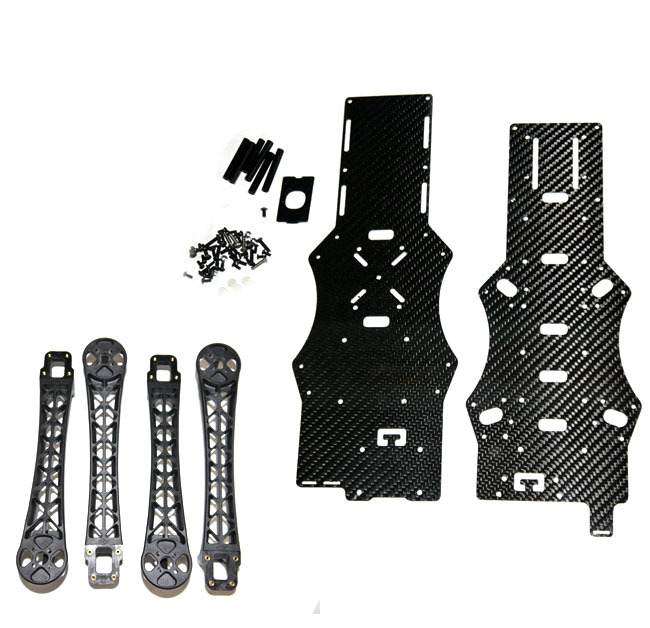 Lighter than the competition, the 1.5mm carbon fiber components and hardware weigh in at 155g. 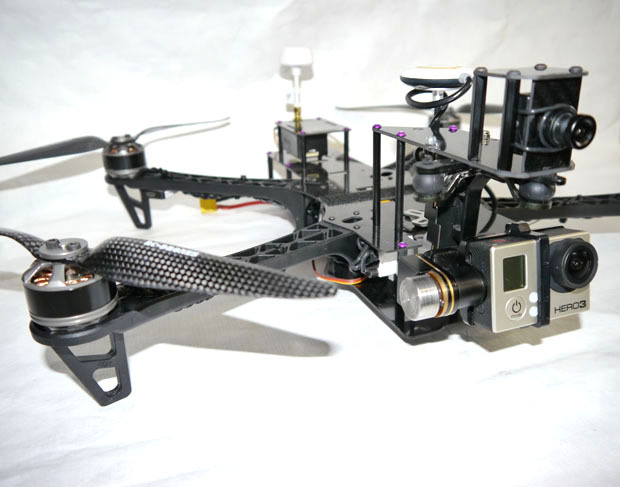 4 DJI arms add 215g bringing the frame weight to 370g. One of our key design aspects that we incorperate to all Phoenix Flight Gear frames, folding arms and transportability. 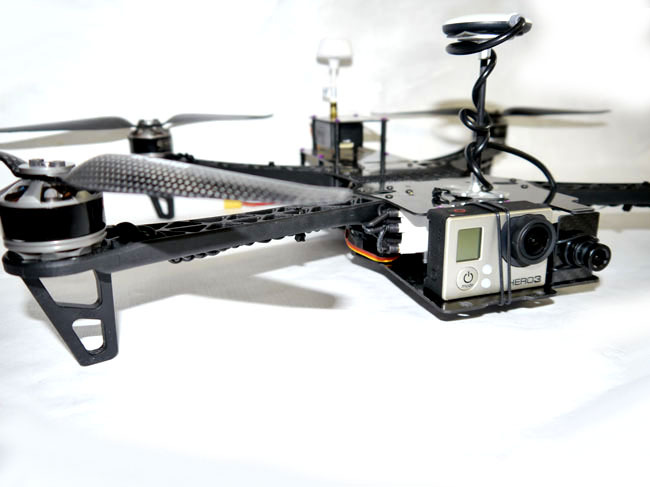 Multiple flight controller options are accommodated for you. Slots located at the center of gravity allow you to mount many flight controllers using mounting holes from 30x30 to 50x50. 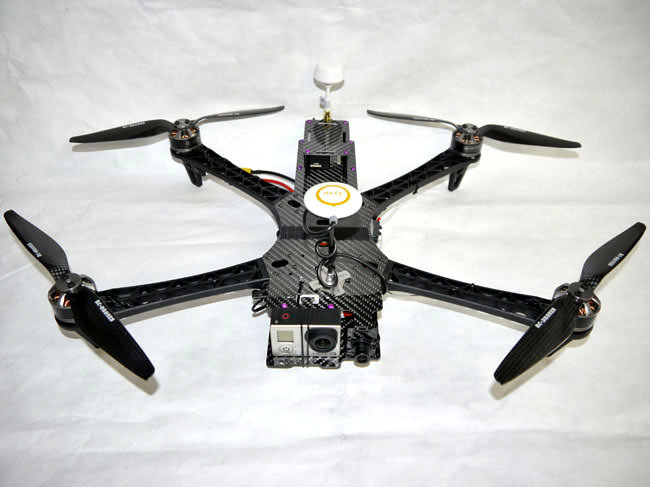 NAZA-M locators help center your DJI flight controller. 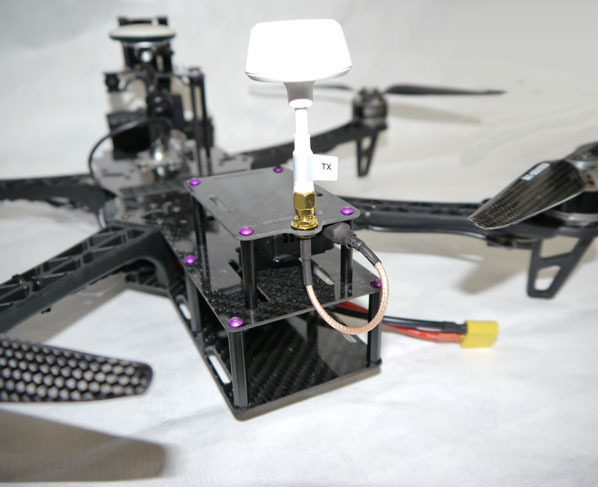 Mounting holes for the tried and true multicopterPilot VOLTair power distribution board are on the base plate to feed your motors plenty of power and, there is also accommodation for the DJI E300 propulsion system distribution board. 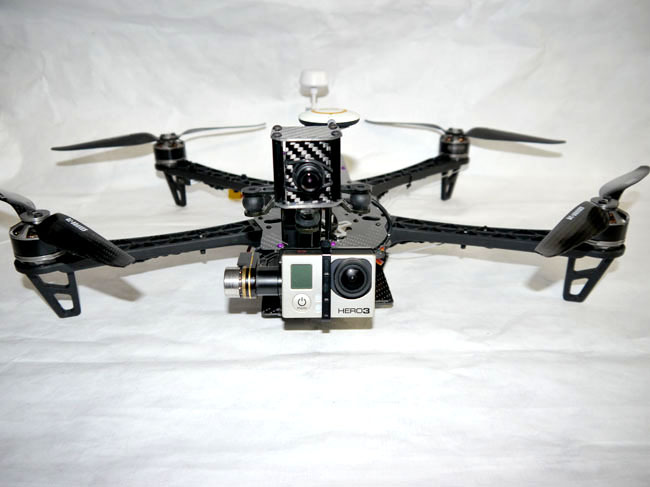 For the ultimate in AP/FPV footage, we have designed a gimbal mounting plate that will give you the best AP footage you can capture, gone are the days of the hard mounted GoPro on your FPV frame that make viewers nauseous when viewing your footage. 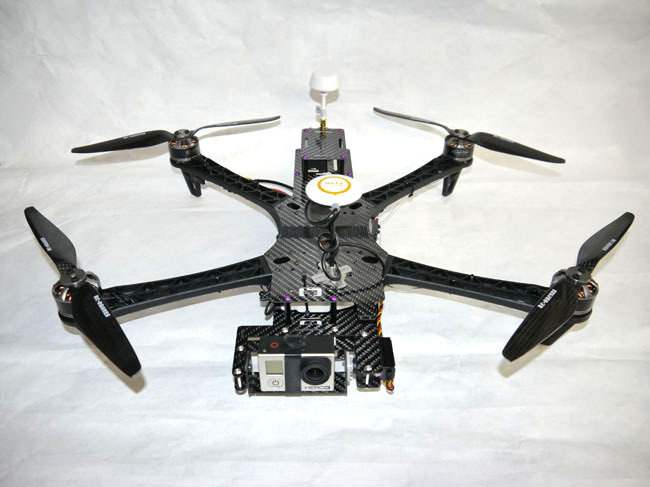 The plate is made to accommodate the DJI ZenMuse H3-2D, PhantoMounts X2 wide gimbals and many more gimbals that use the DJI Phantoms standard camera mounting holes (40mm spacing). 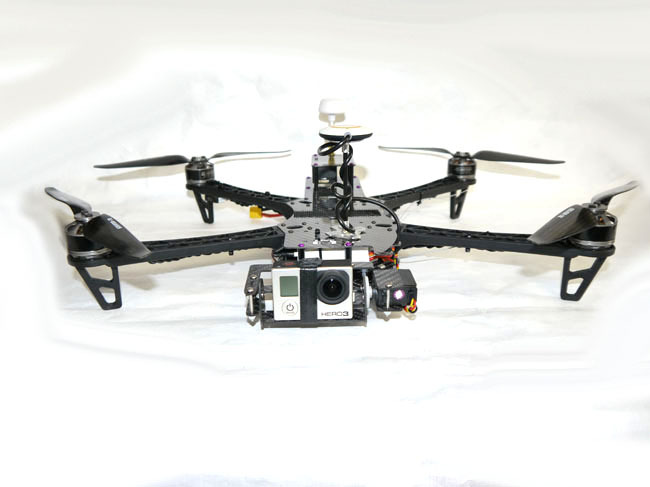 If you plan on fast aggressive flight we recommend using the PhantoMounts X2 gimbal, because it is servo driven you will not have to worry about the "protection mode" enabling during hard fast maneuvers then require landing to re-stabilize the brushless gimbal. A weather resistant hard case is also available, take your CarbonSpyder, transmitter, batteries and FPV goggles all to the field in only one case.